Photos/Videos by North Palm Life unless otherwise noted. 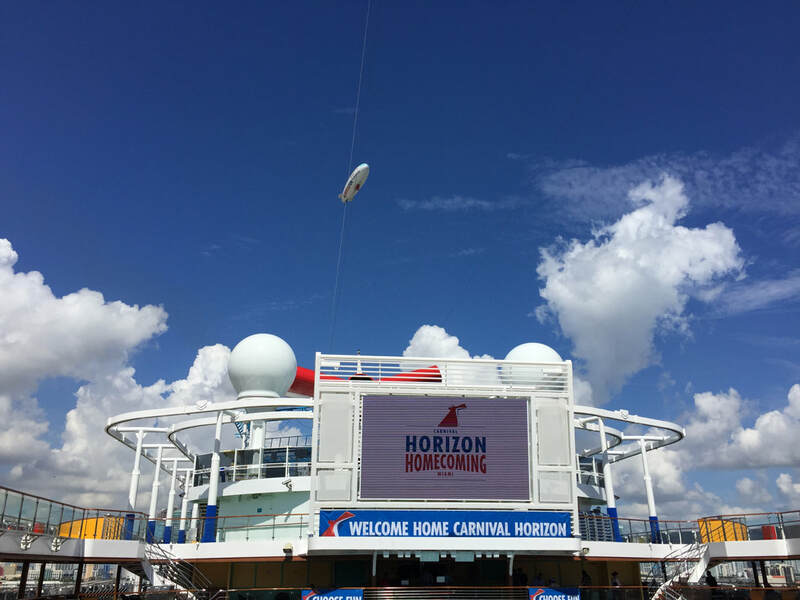 MIAMI_Carnival's newest and biggest ship, Horizon, arrived at her new home port of Miami Sept. 20, and Carnival threw a big party to celebrate. 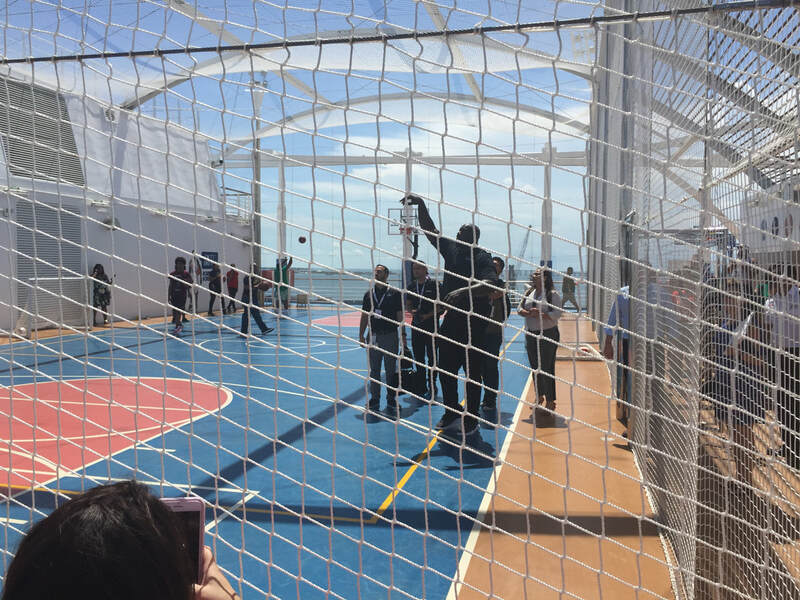 And who better to kick off a big party than NBA legend Shaquille O'Neal, Carnival's Chief Fun Officer, the epitome of "big." 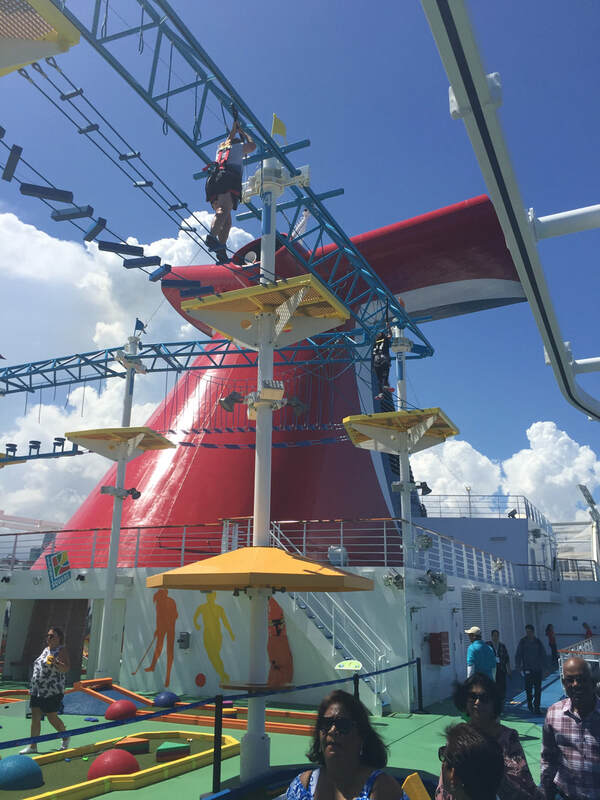 Fun was in abundance as Carnival execs, media, travel agents and guests prepared for a two-night debut voyage to the Bahamas. Horizon was officially launched in April, and after a season in Europe, came to New York before arriving in Miami. To make room, Carnival redeployed her sister ship, Vista, to Galveston. Read more about the Horizon debut HERE. One of two soaring atriums. The elevator lobbies have a contemporary vibe. 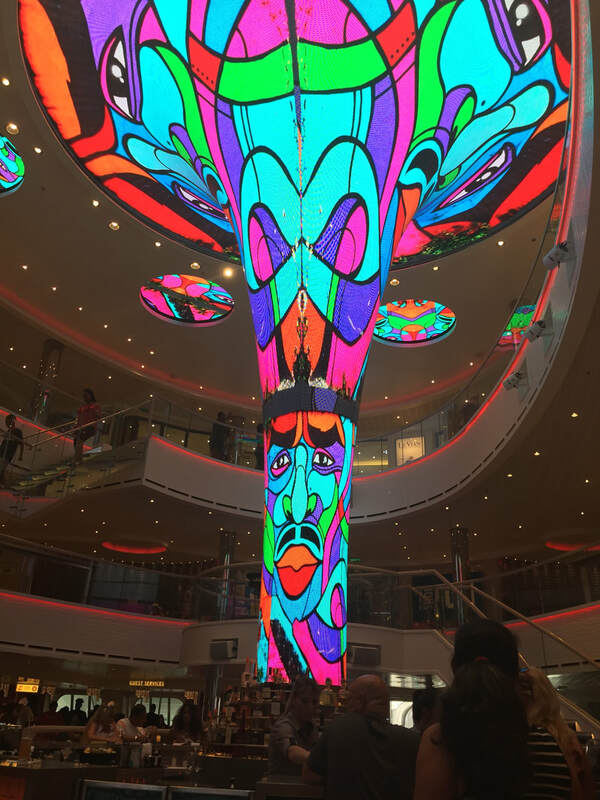 ​Carnival Horizon sparkles from stem to stern. 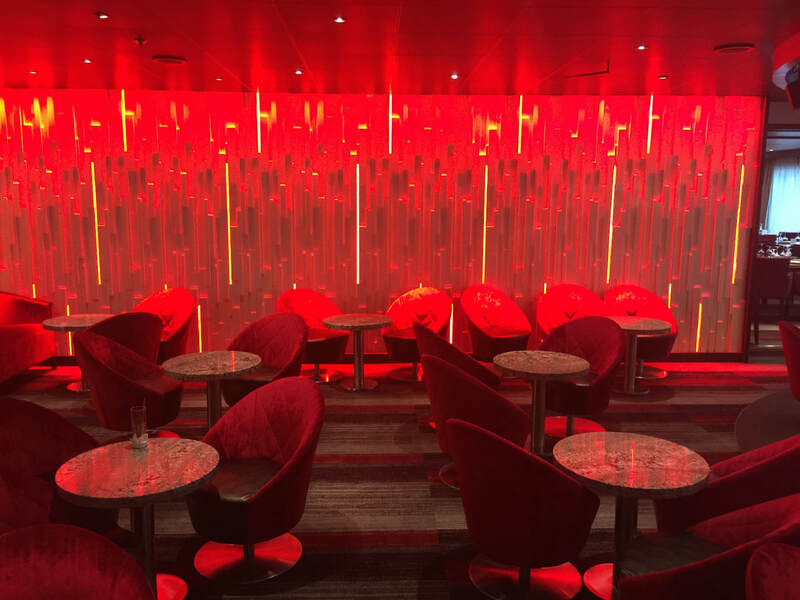 Whether it's the light show that greets you in the dazzling atrium or the striking reds in the Piano Bar, it exudes beautiful touches throughout. 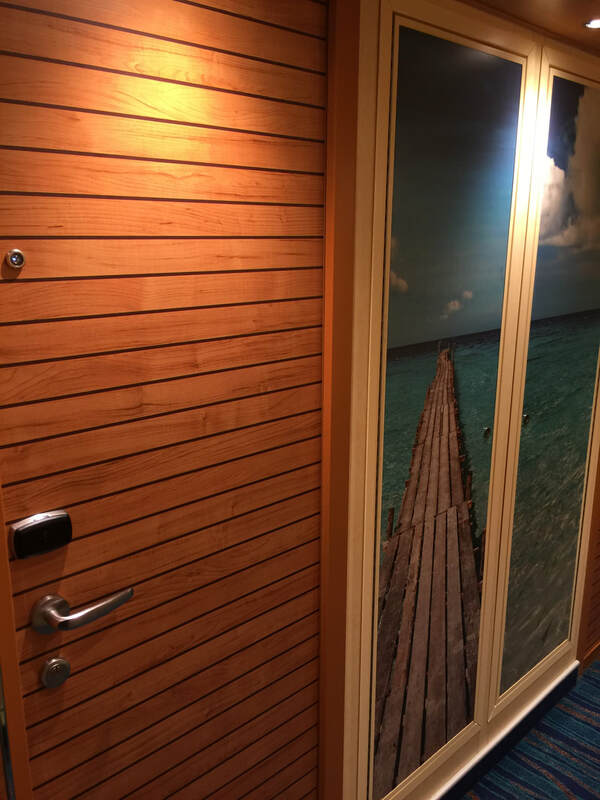 The staterooms sport a tropical feel. 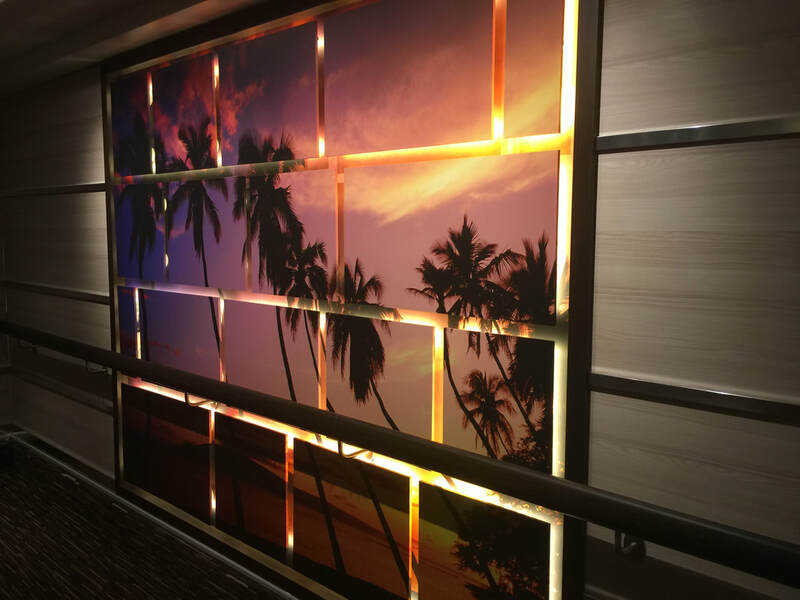 Photo panels in the stairways evoke a vacation feel. 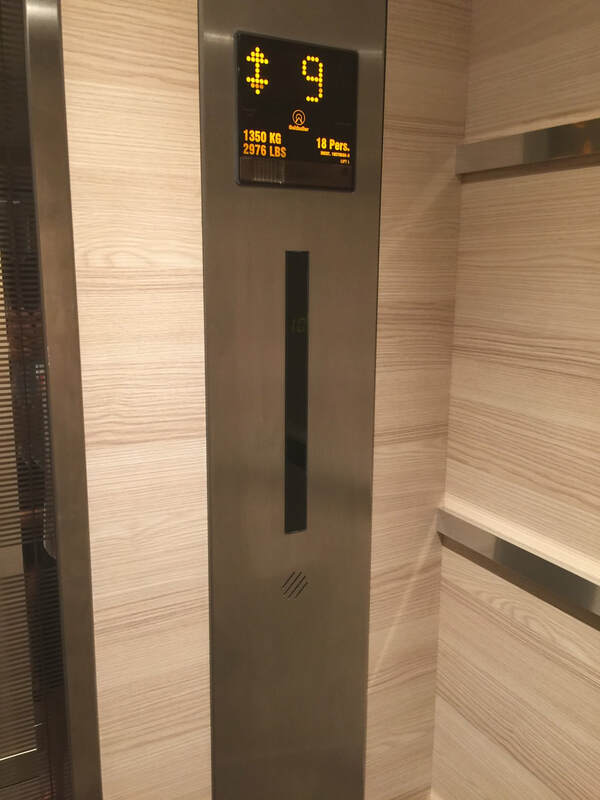 Horizon features the latest in "smart" elevators. 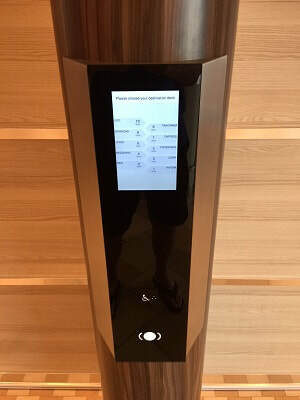 You select the floor you want, above, and a voice tells you which car to take. Once inside, there are no buttons. A little disconcerting at first, but it works. 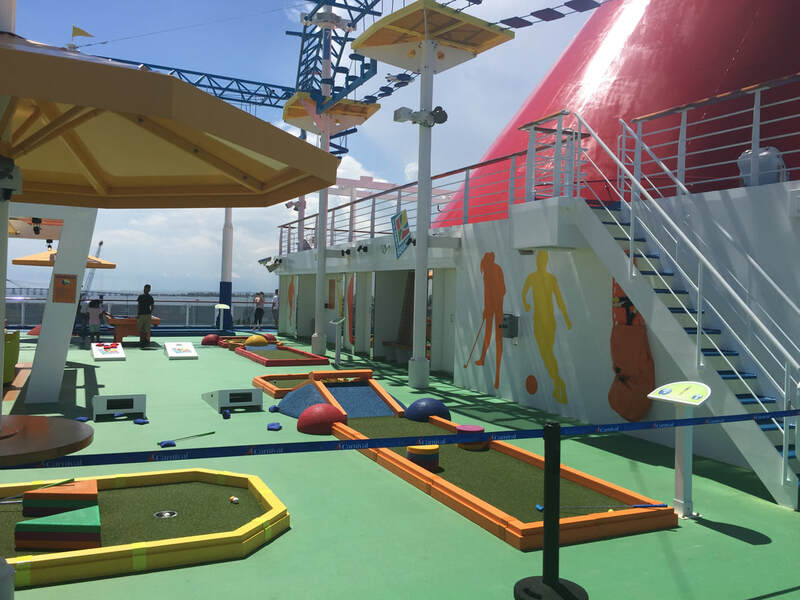 ​Horizon, like other Carnival ships, features lots of things to do for the younger set. 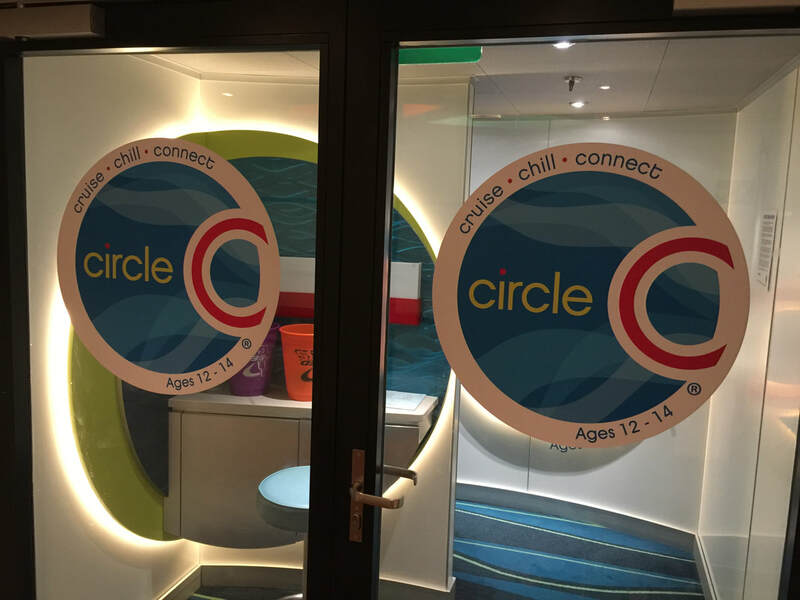 There's the Clrcle C for teens, the Camp Ocean Playground and a room filled with arcade games. That's of course in addition to the Dr. Suess WaterWorks (more on that below). Feel like chillin'? 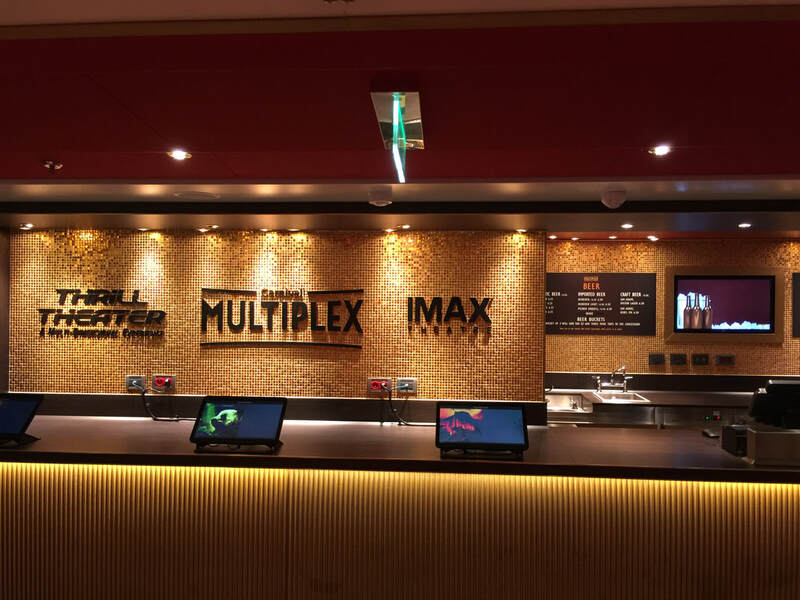 Head for the IMAX and catch one of the shows. You can choose from new releases to exploring our national parks, or go for the scares and thrills. Topside on Carnival is the SkyRide, and we do mean "topside." 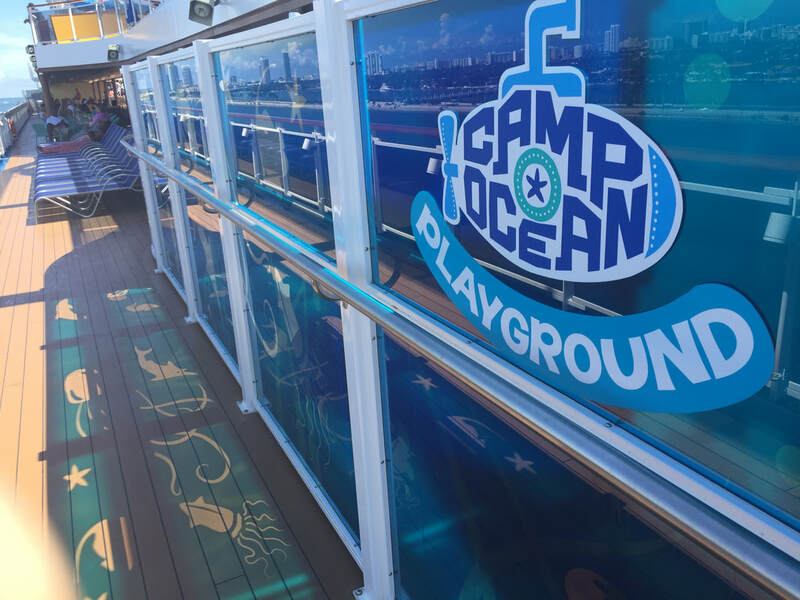 You can pedal your way around the ship and get the best views at sea. (Since it was down for maintenance, we'll have to give you a first hand account next time around.) 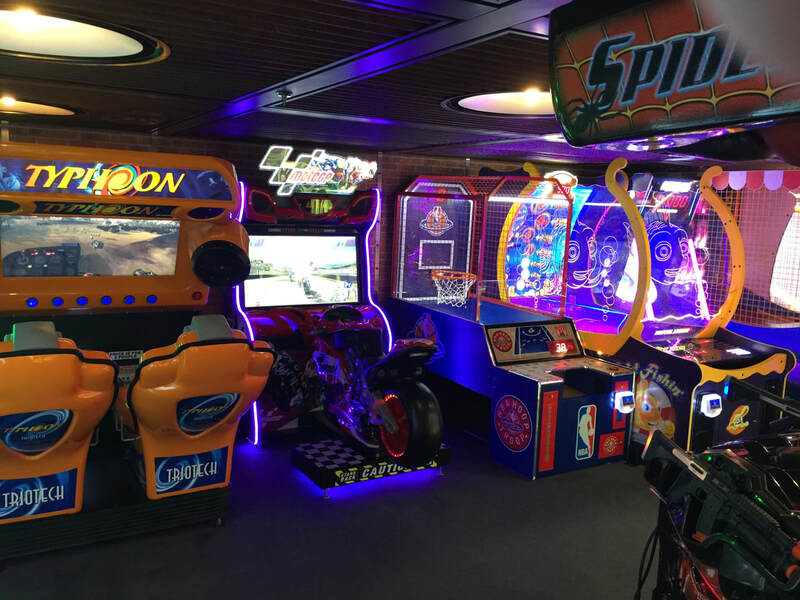 Also up top is a ropes course, a basketball court and minature golf. That's Shag, left, showing how it's done on the court. Swoosh! 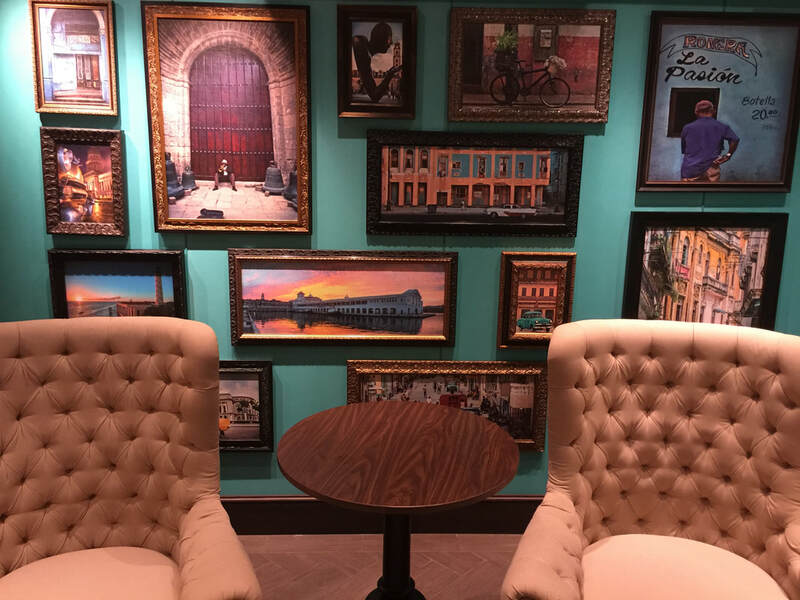 Just like on Carnival Vista, Horizon has the Havana experience. 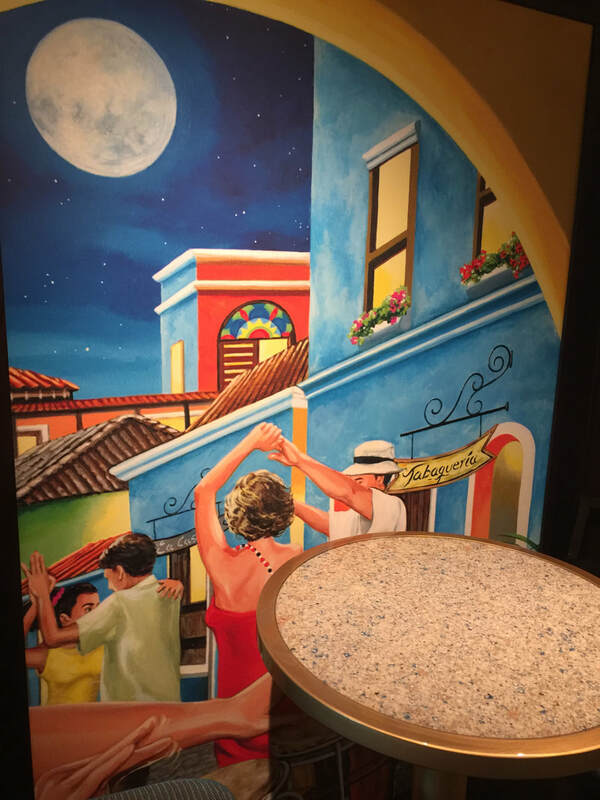 The Havana Bar features live Latin music. 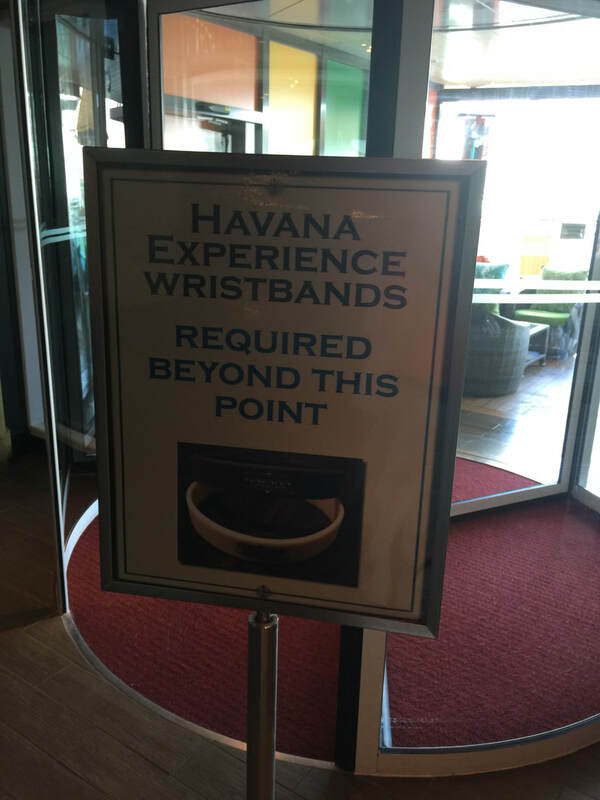 It's like a trip to Cuba without leaving the ship. 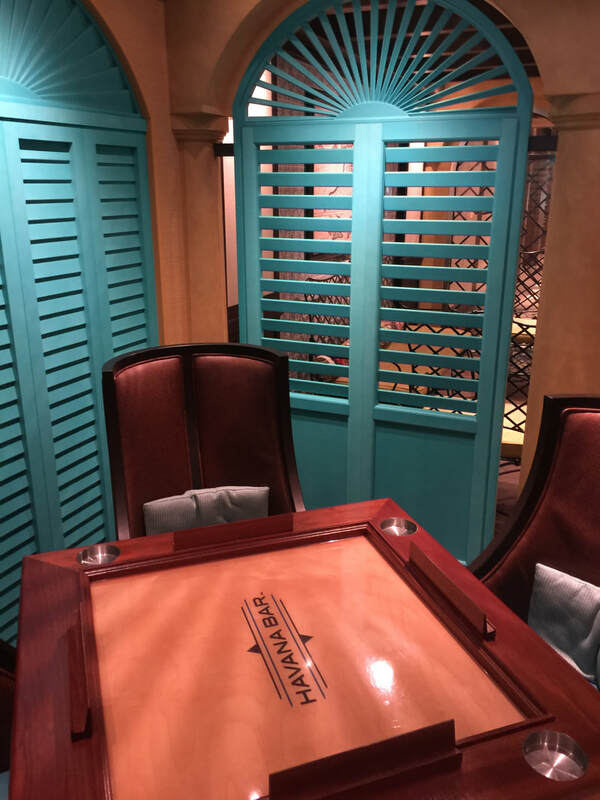 Outside is a pool/patio/hot tub area reserved for guests who book the special Havana Suites, who come with their own private courtyards. 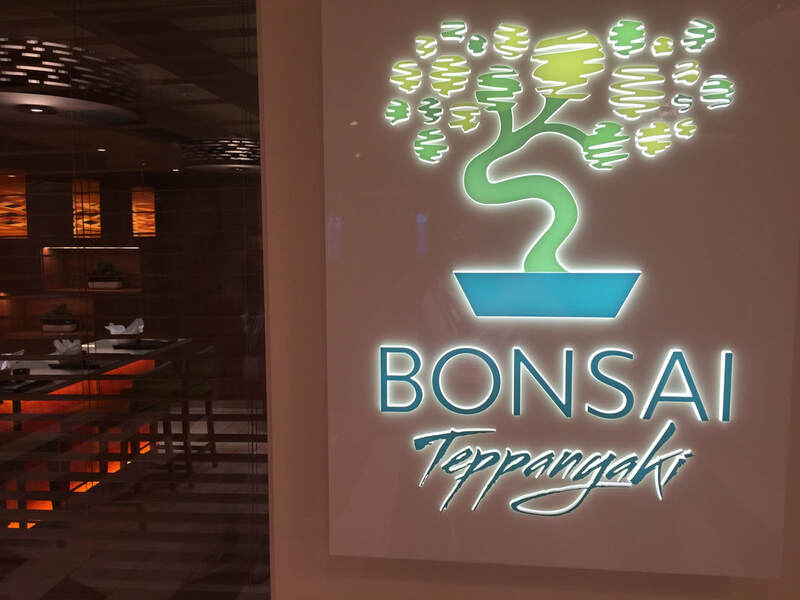 Bonsai Teppanyaki is Carnival's first restaurant of its kind, and promises a memorable dining experience. 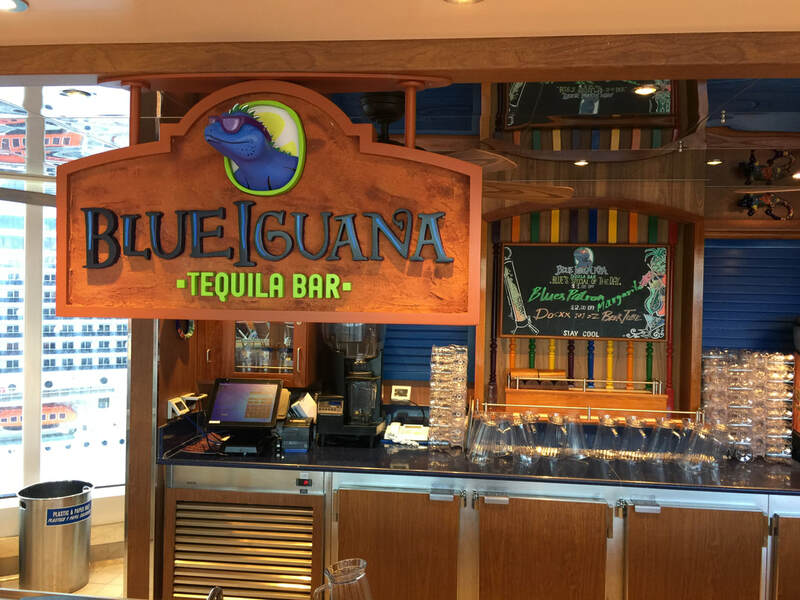 The Blue Iguana is both a bar and a restaurant. 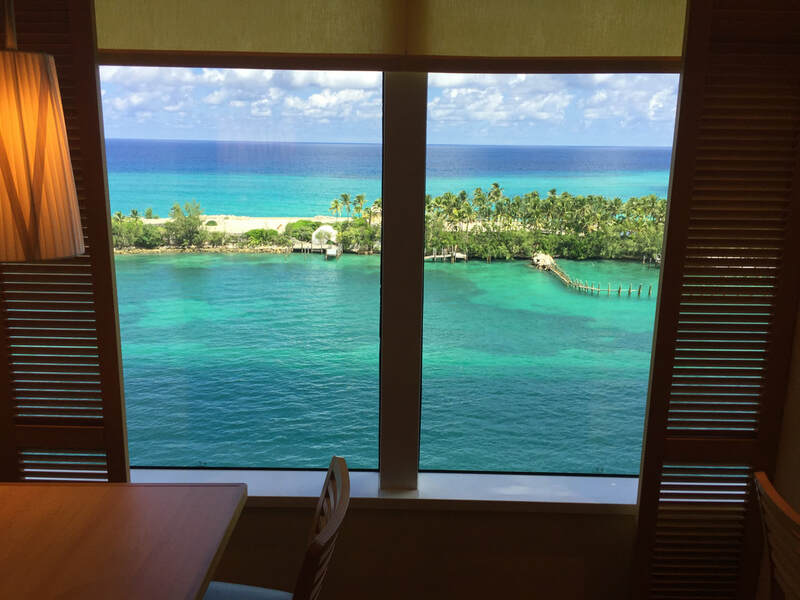 The dining areas on Lido come with their own stunning views. 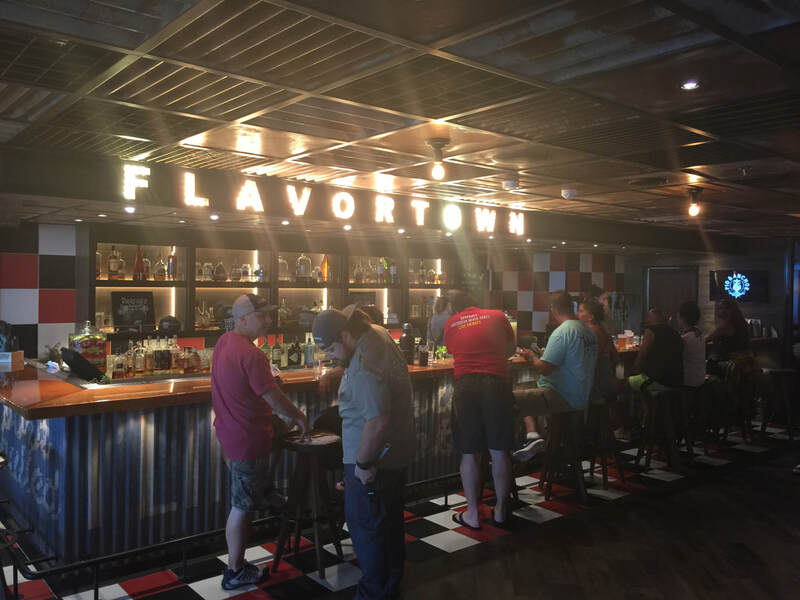 New to Carnival is celebrity chef Guy Fieri's Pig and Anchor Smokehouse/Brewhouse. Match your favorite BBQ with one of the four craft beers brewed onboard. 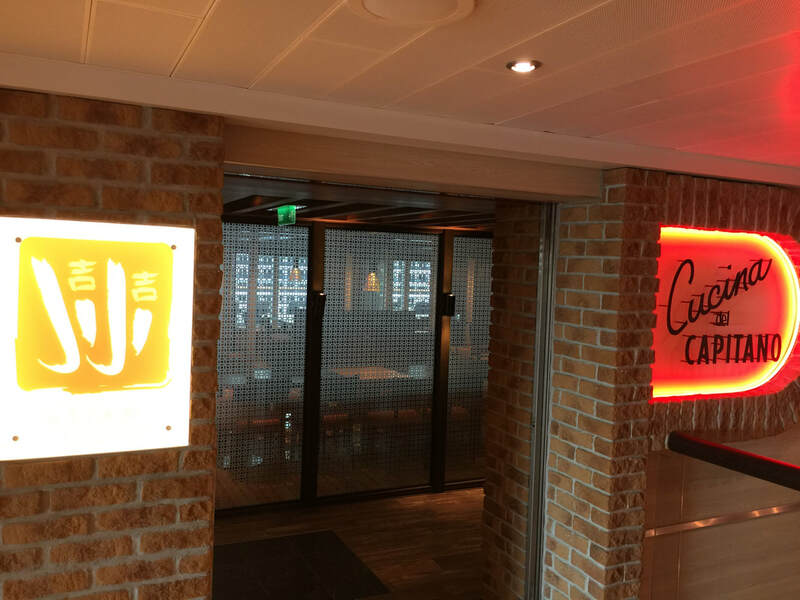 Two of Horizon's specialty restaurants -- in the mood for Asian or Italian? 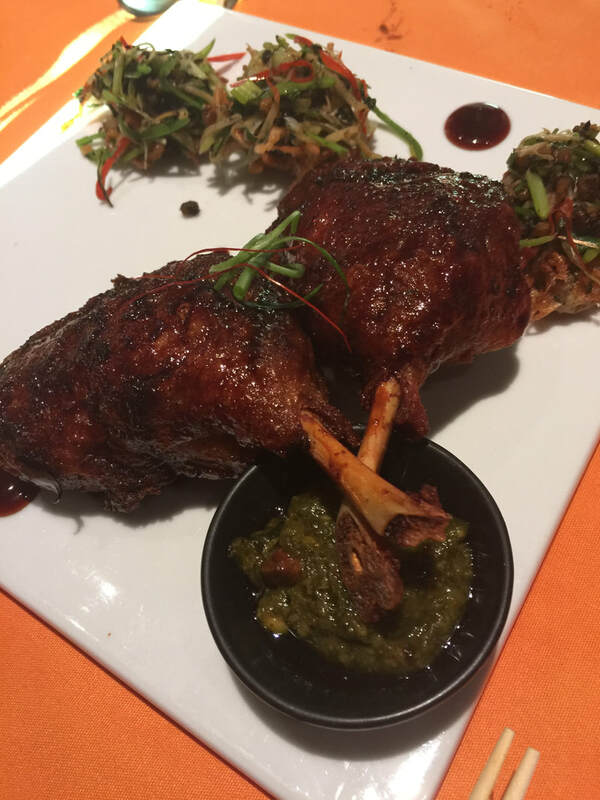 Three of the courses offered by Ji Ji's Asian restaurant. The Alchemy Bar is where drink magic happens, and has become a popular fixture on Carnival ships. 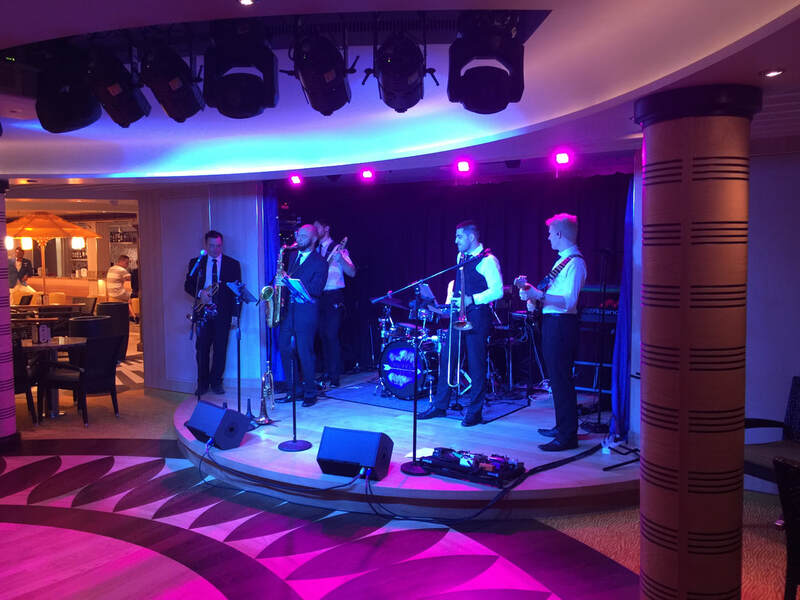 A longtime tradition on Carnival ships are the singing waiters. 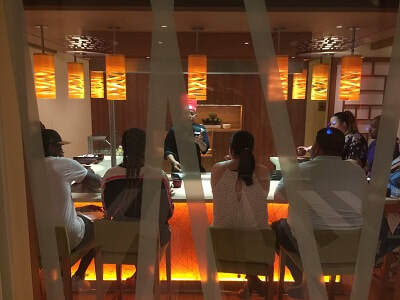 ​ You can't help but join in as they energize the main dining room. 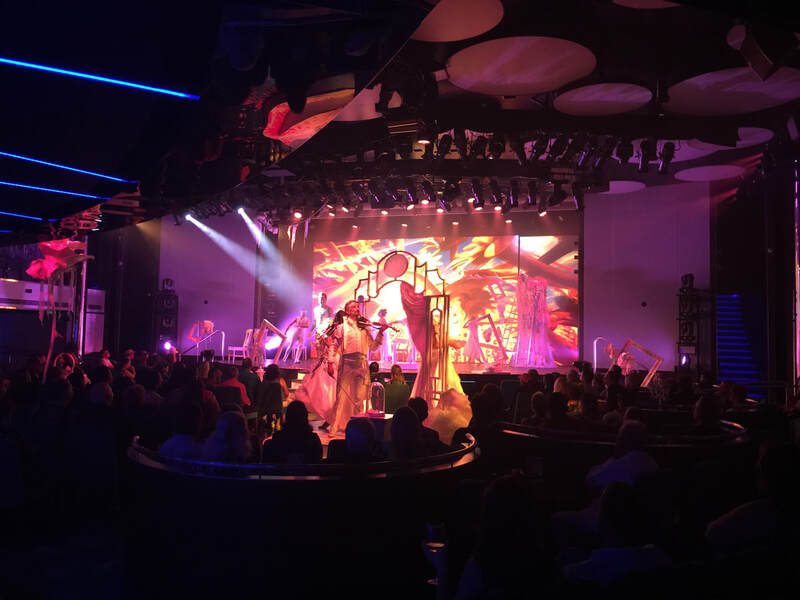 Horizon boasts a full slate of entertainment options, from Vegas-style shows, like "Celestial Strings" in the Liquid Lounge theater, left, or the jazz/rock and roll band Crushed Velvet in Ocean Plaza, right. There's also a comedy show. 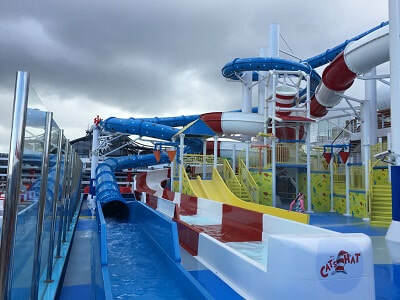 Dr. Suess goes to sea in the first Dr. Suess WaterWorks onboard Horizon. 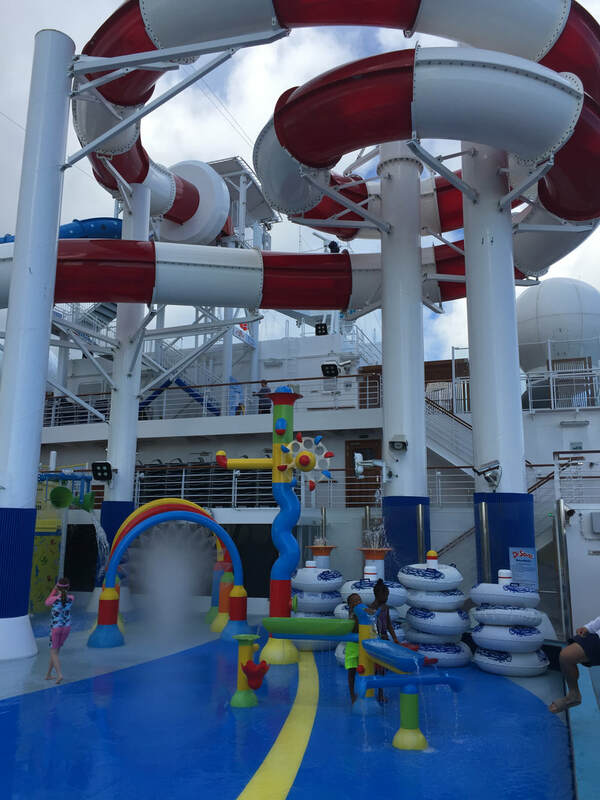 It's built for the kids, but we saw plenty of adults splishing and splashing as well. ​photobombed our selfie in Nassau? 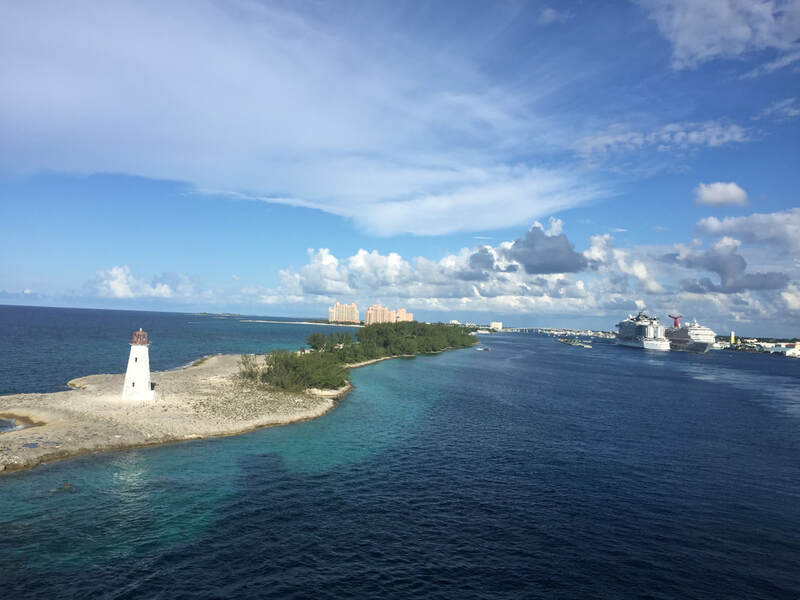 Carnival Liberty in the background. Me and my man Shag just hangin' out. I'm the midget on the right.